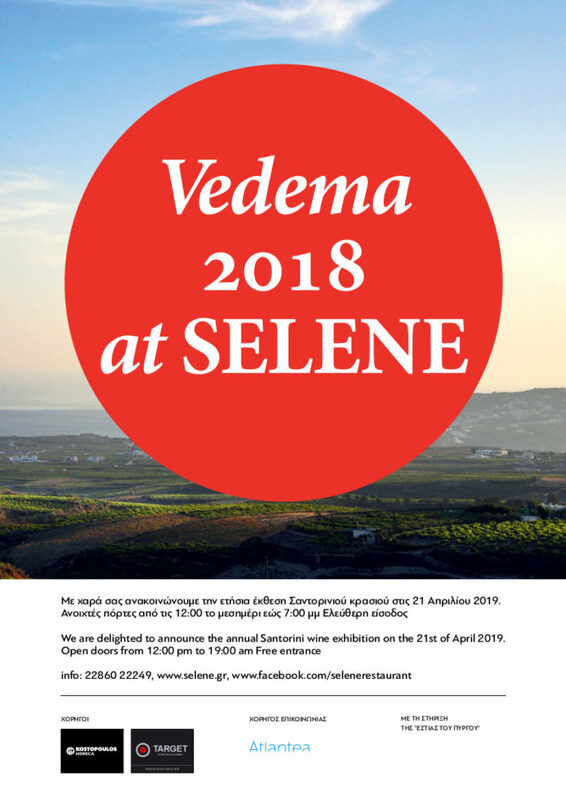 The famous Selene restaurant in Pyrgos village, will host, for the 8th consecutive year, on Sunday, April 21st, 2019, an exhibition and wine tasting of Santorini’s last harvest (2018). The entrance is free. Professionals, wine friends either living in Santorini or visiting the island (from Greece or abroad) will be able to visit the wine exhibition from 12:00 to 19:00.